How is your week going? Mine has been rough! Coming into September has been a whirlwind for me both personally and in business. I always love this time of year because it’s that mentality that summer has ended and that means 4th quarter is here. Time to go as hard as possible to close out your year strong and position yourself for new growth in the new year. Are you really setting yourself up for success? Are you surrounding yourself around people who inspire you to level up? Are you taking time to nurture your mind, body, and spirit? Are you the healthiest you’ve ever been? Are feeling motivated to accomplish anything you put your mind too? Are you executing on your goals? Are you constantly learning to become 1% better every damn day? Lets be honest… you know you can be doing better. This is your time to level up. Right now. I want you to audit yourself this week and make sure you give yourself 110% commitment to go ALL-IN on yourself personally and in business the rest of 2017. Think about all of the people struggling in the world right now. I sometimes get down on myself and then I think about all of those people out there that have real problems right now. Think about all of the recent devastation that is happening because of these hurricanes. So whatever problems you are creating in your head right now on how “you can’t do something” or “you’re not where you want to be in life” just remember that YOU HOLD THE KEYS. You are the pilot of your life. So break out of it, look in the mirror and stop procrastinating. Say to yourself… I can, I will. I can, I will, I CAN, I WILL!!! We all go through ups and downs in life. That’s what life is. Imagine if we didn’t have obstacles, adversity, or felt pain… would we even know what it feels like to succeed? To be happy? To celebrate this gift of life? Pain is a privilege and so is the struggle. Embrace it. There is beauty in struggle but you have to realize it is part of conquering that mountain and it’s never going to be easy. This is why you need to constantly work on your mind. It’s one of our greatest gifts. It can make us or break us. You need to work on your mindset just as if you were to work on your body and health. 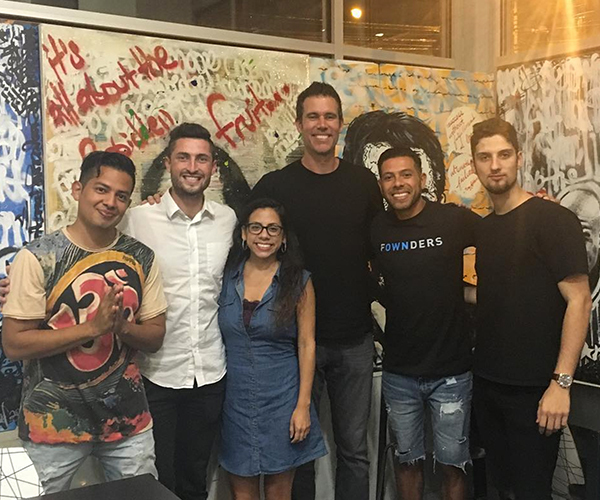 After recently suffering myself with some stress, anxiety, depression… I was blessed to meet one of the greatest mindset leaders in the world. He came to Fownders and worked with me to understand not that mindset is important but literally HOW TO conquer your mindset whenever that doubt, fear, anxiety, or depression kicks in. His name is David Bayer and he is the author of Mind Hack: How to achieve unimaginable levels of happiness, wealth, and success. He also works with thousands of clients on what he calls ‘the powerful living experience’ mastering your inner and outer greatness. I was blown away by how much he impacted me at Fownders. The strategies and knowledge he worked with me on literally transformed my thinking about how to master my mindset. I haven’t been impacted like this since Tony Robbins! 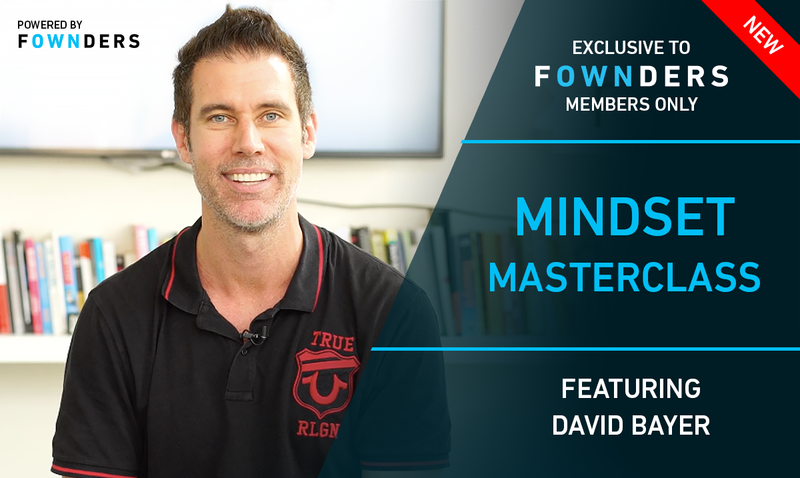 During the rest of the trip, David and our team at Fownders worked on a Mindset Mastery Masterclass for our Fownders members. The video series drops tonight so I want to give you a heads up because you need this in your life! Trust me, it’s worth it and won’t take weeks or months to finish. In our masterclasses we make sure to get right to the meat of the lessons. To be able to take this new masterclass as well as all of our other masterclasses that come out weekly and monthly you have to be a Fownder. I know many of you jumped on the opportunity when you found out I am for a limited time discounting the monthly from $97 to $27 a month and if you want to save big you can join our annual membership for only $247. This gives you complete access to our slack community, private livestreams, and all of our learning content. So if you haven’t yet, I don’t know what you’re waiting for. This is my best work yet! We have some surprises for you. Whether you have BECOME A FOWNDER or deciding to wait… the takeway from this email is to stop procrastinating! You have ONE LIFE. One opportunity. No matter what is holding you back, let it go! Cut out all the toxic people around you that are not helping you level up. Start investing in yourself and go into the end of this year being the best version you have ever experienced. YOU ARE THE ONLY person that can make that happen. You owe it to yourself. So audit yourself and make the necessary changes. Hold yourself accountable. Turn your struggles into your strength. I can, I will. You can, you will. WE CAN, WE WILL. Hope to see you on the inside of Fownders!